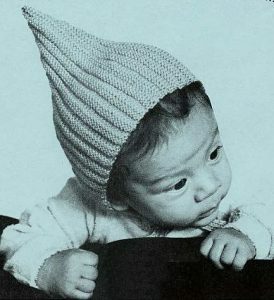 Baby Hat – Pixie hat to knit free knitting pattern. One, 40 gr skein of Crystal Palace Baby Georgia, 100% mercerized cotton. Crystal Palace Bamboo Needles size 3.